From the creator of the Ghost Venture Crew, Investigator Zondra Mae has just released an exciting, “heart pumping” novel Waking Darkness. This fiction original, crime-based supernatural thriller will be one of the novels to read this summer! 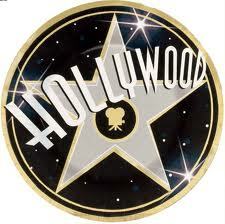 This book has already caught the eye of Hollywood! Celebrity English caught up with this fascinating, Wisconsin based novelist last week to do an interview on Waking Darkness Book One. Alex Graham: What inspired you to write your first book Waking Darkness? Zondra Mae: Well, I started training as a screenwriter because, to be honest with you, I didn’t believe I could ever write a novel. So, ummh...basically because there are not much descriptions and it is only 120 pages for a screenplay. So I figured I could do that far better than I could do a novel. So I started training as a screenwriter. 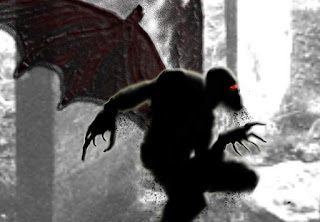 About 6 years ago now I started writing this screenplay, which has now become the novel Waking Darkness. I kind of got half way through it and I kind of got scared of writing it. For some reason it bothered the hell out of me. And then last August I picked up the screenplay again and I started writing it, working with it, and then I started getting flooded with so much more information. I just had to clarify the script. I just had to write the detailed parts of it to give myself more insight into it anyway. So with that foundation of the script I had the novel already. It was the logical next step. Alex: What is Waking Darkness about? Alex: Excellent! Personally, I was hooked from the moment I started reading it. I loved that it is a faced-paced drama with original supernatural elements at play in the story. Alex: Who designed the cover of the book and what does it mean? Zondra: I designed it. It is an upside down tree in a mountain range. It depicts the Veil, which is a realm on the other side. 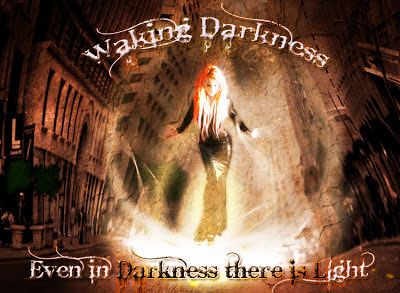 This realm or the Veil is an intricate, supernatural element to the storyline of Waking Darkness. The tree itself is the Elävä puu, which is Finnish for living tree. It is a life-giving tree, which transcends all other realms and dimensions. Alex: I thought the color scheme was wonderful. It really caught my attention. Alex: Who is your favorite author and what is it that really strikes you about their work? Zondra: I am HUGE Stephen King fan. HUGE! To be honest with you, I will read other authors but he is the only one I will just go and get a book and read it and have it done in 3 days no matter how thick the book is. I can’t put them down. He strikes me as being as warped in the brain as I am. Ha ha ha..
Zondra: No reading his books is better than watching movies. I know people always say that the book or novel is better than the movie anyway but the imagery, because he writes in images. Zondra: And I relate to that because I am very visual person. And I can really see what he is writing. I have that movie going through my head, you know, exactly what the book is saying. Alex: Yes those are great points. Excellent. Zondra: I just love him! I would love to meet him. Alex: What can we look forward to from Zondra Mae in the future? Zondra: Well I have 2 more books for Waking Darkness coming out. The sequel Return of the Shade King is going to come out next May and do a yearly thing there. In between there, I have started a new para normal called The Soul Contract which is set in the Victorian time period and I should be done with the first draft in July if everything works out. I love the Victorian time period! 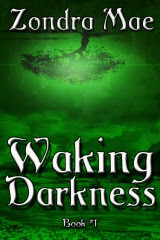 Alex: Thank you Zondra Mae for sharing with us your fantastic new "heart pumping" supernatural thriller Waking Darkness! We look forward to the sequel The Return of the Shade King and The Soul Contract next year! Zondra: Thank you Alex. I had a great time! Alex: See you soon! And drop in next week to meet a spectacular Guinness Book of World Record pioneer who was featured on the wildly popular shows Britain’s Just Amazing and Britain’s Got Talent! You will be amazed! 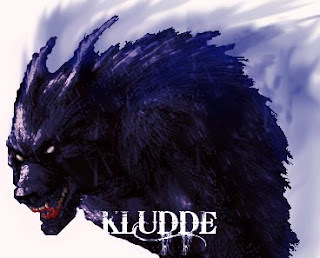 I think Zondra one day will be as famous as Steven King! I adore his books too. Leah Marie Trogan is Ready For Love!